From Southfield to Silicon Valley, Jay Adelson is a pioneer of the Information Age. 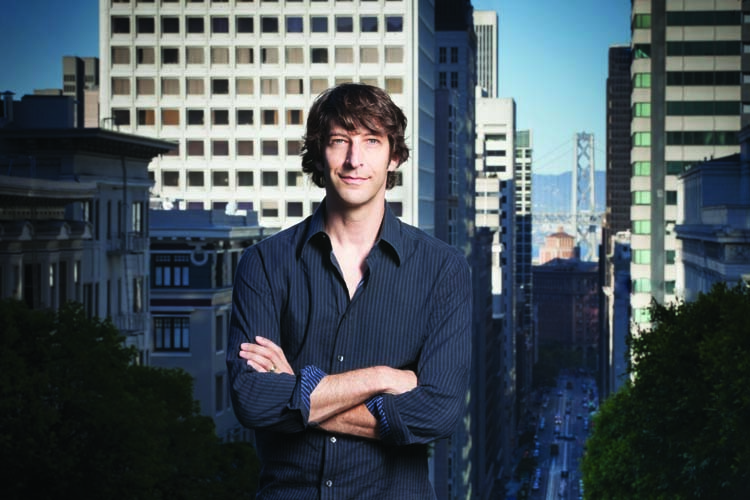 By June 2014, when Jay Adelson co-founded Center Electric, his technology venture capital firm, he’d already launched a half-dozen startups in 20 years and earned a reputation as a “serial entrepreneur” — never mind being chosen in 2008 as one of Time magazine’s “100 Most Influential People in the World” in the Builders and Titans category. Adelson is both baffled and amused by his accomplishments, because he readily admits he still regularly hears a voice inside his head taunting him with this refrain: “I’m not qualified!” He then hastens to add that his path to unimaginable success didn’t get off to the most auspicious of starts. It didn’t take long for Adelson’s artistic passions to take hold and surface. But Adelson determined that focusing solely on film or radio in the next stage of his education, at Boston University, wasn’t an option. >> Internet B.C. Growing up in Southfield, Jay Adelson moved to California to pursue a film career in the early 1990s. As a backup to his film studies at Boston University, he “ended up taking almost the entire computer science course load on the side,” he says. 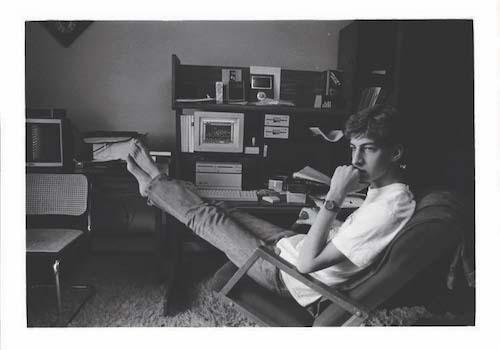 The extra classes proved to be his calling as he soon found himself at the forefront of the desktop computer revolution in California, where he initially worked at Netcom in San Francisco, one of the first internet service providers. That perception dramatically changed in 1989 with another seminal event in Adelson’s life: Tiananmen Square. Adelson’s stint at Skywalker was short-lived, and his enthusiasm for a career in the filmmaking business dwindled as what he calls his “inner geek” began to consume him. He couldn’t get the Tiananmen Square experience out of his head, and he was intrigued and fascinated by the potential and power of delivering all kinds of information instantaneously, through what was then widely known as the World Wide Web. By 1993, just one year after graduating from BU, he moved back to California and took a job with Netcom in San Francisco. It was one of the first global internet service providers, and was at the forefront of the fledgling movement toward shifting communication through the internet from gigantic computers in university labs to more compact, individually owned personal computers, or desktops. Adelson thrived at Netcom, initially as an installation coordinator and then overseeing virtually all aspects of the business, from engineering to operations to customer service. 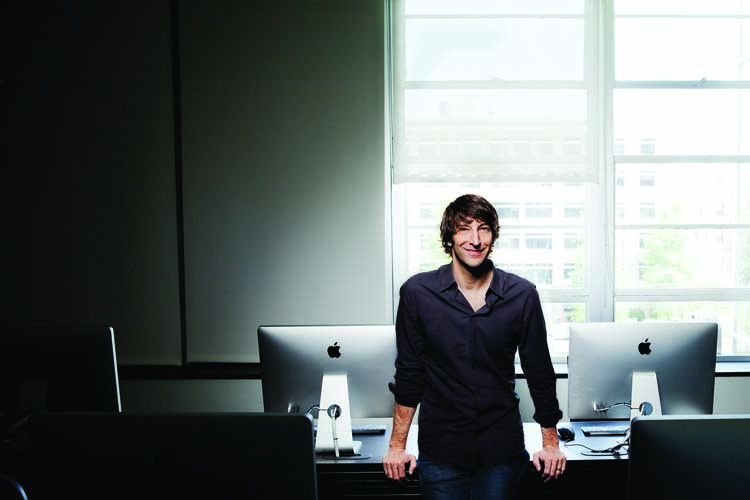 It turned out to be the beginning of his odyssey as a wildly successful internet entrepreneur, building what became a string of companies over the next 20 years — Equinix was first, followed by Digg, Revision3, SimpleGeo, and Opsmatic. All either went public or were purchased by other corporations. While that streak of the Midas touch cemented Adelson’s reputation as a startup savant, he energetically pleads otherwise. Adelson also devotes time to giving back to his hometown. There’s something else Adelson wants to accomplish, wholly inspired by that special third-grade teacher he’s never forgotten.